Science fiction can inspire the future, becoming the basis for many scientific and technological advances. For one ARCS Scholar, it ignited a passion. 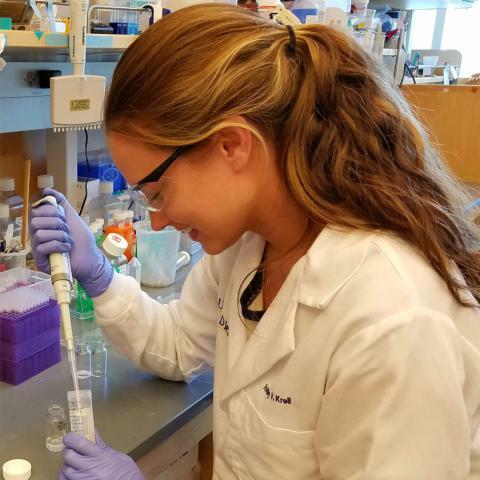 Fund scholars, like Ashley, who are changing the world with their passion for science with a donation to ARCS Foundation. 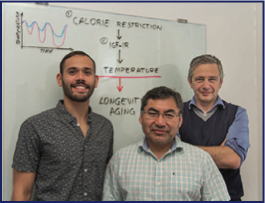 Photo of Rigo Cintron-Colon, Manuel Sanchez-Alavez, M.D., Ph.D. and Bruno Conti, Ph.D.